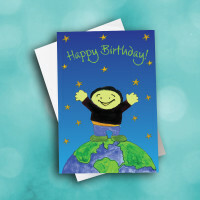 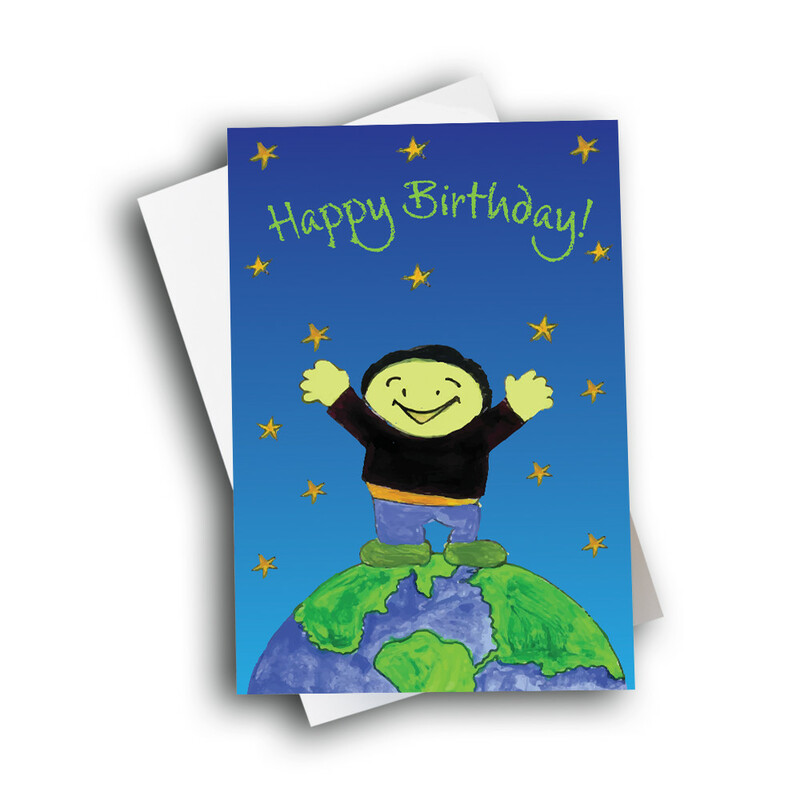 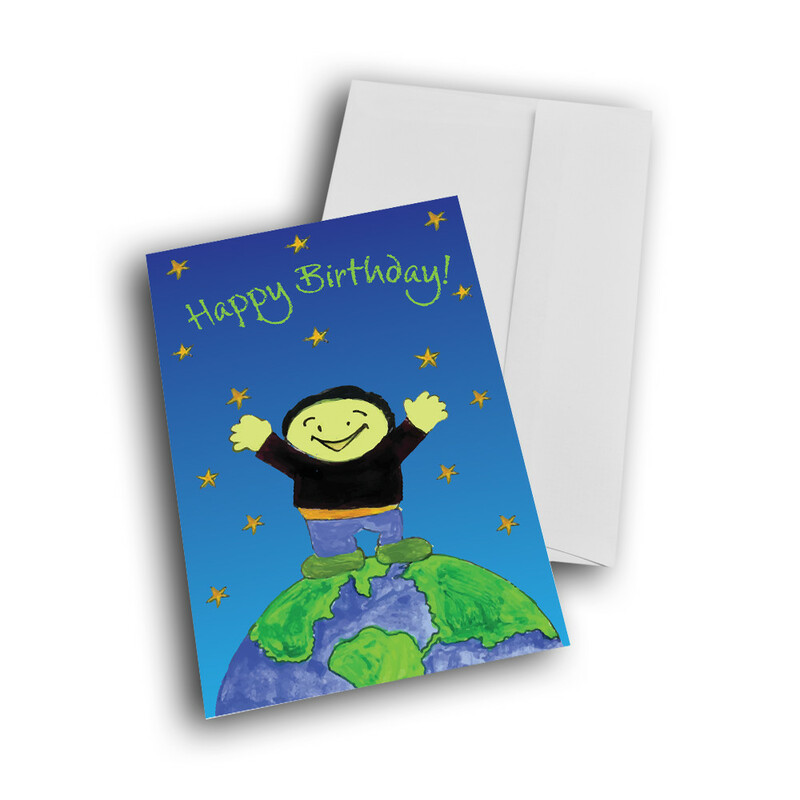 Send an out-of-this-world birthday wish with this exciting birthday card. 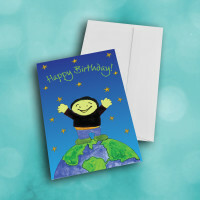 This joyful birthday card is sure to bring a smile to whoever recieves. 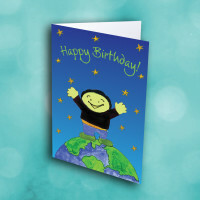 The deep-blue, star-spotted front features an ecstatic little boy standing on top of the world, arms spread wide. The birthday greeting floats above his head. 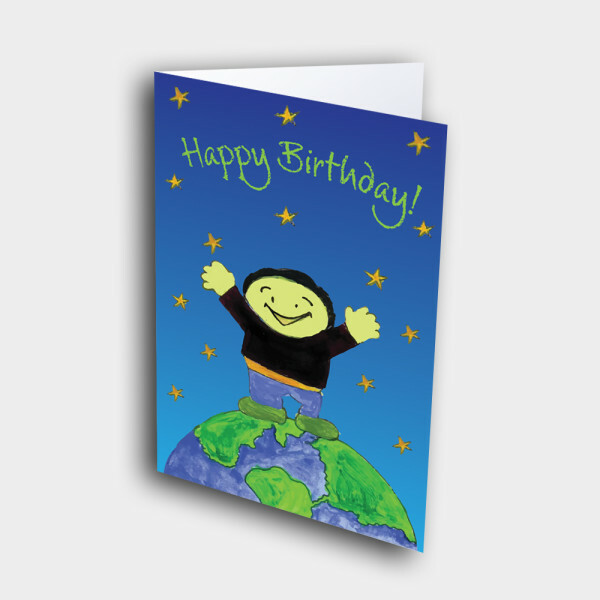 Inside, the message can be customized to give the card a personal touch.